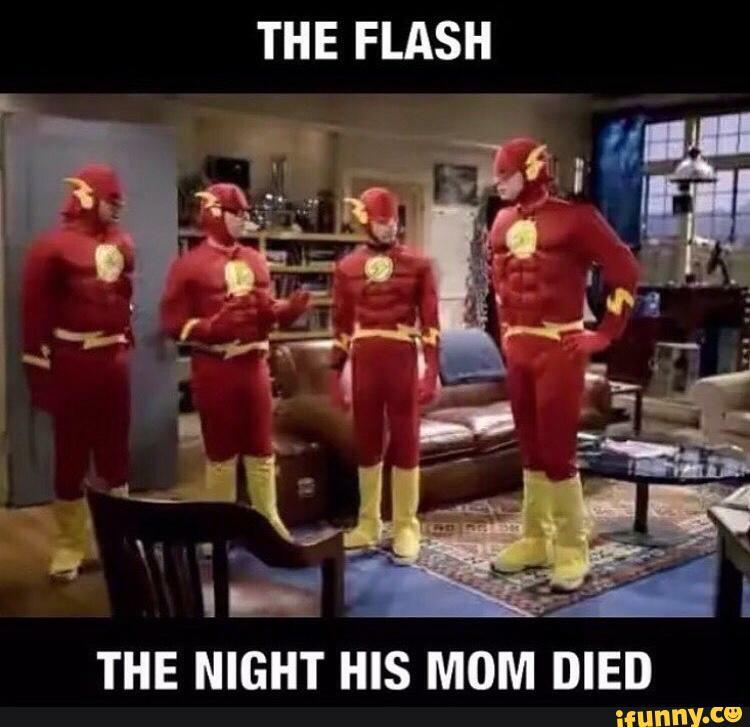 At the end of season two, Barry Allen travels once more back in time to stop Reverse-Flash from killing his mother. Only this time he actually does succeed. Season three starts off with Barry's new life--where he has everything he wants. But as we all know, there are repercussions for his actions, and he has to deal with them in the only way he can: by being the Flash. The season three premiere episode is called "Flashpoint" because it's loosely based on the DC comic book called Flashpoint where Barry Allen goes back in time to change one event and the entire future and universe is affected. In the Flashpoint universe, the Flash doesn't exist, Bruce Wayne dies (and his parents become Batman and the Joker), and Superman never grows up in Smallville (but inside an underground cage). It's a very bizarre, yet interesting, comic. Thus I was stoked when I heard they were naming this episode "Flashpoint." I knew it wouldn't be exactly like the comics, but I knew it would be interesting. I loved seeing the alternate timeline in this episode with several characters in different places of society, doing different things. My heart broke every time I saw Barry with both of his parents alive and well. It was super sweet. The memory flashes Barry experiences, where he starts losing memories from the origin timeline, was cool repercussion for his actions. Ever since they first introduced Wally West, I've been waiting for him to become a speedster. I thought for sure by the end of season two we would see that become a reality, but it didn't happen. Thus, it was perfect that in the Flashpoint timeline that Wally is a speedster. I like his origin story because it fit with who he was in the origin timeline. I also enjoy that Wally and Iris team up to fight crime together. Their sibling relationship is awesome. And of course, the fact that everybody continually calls Wally "Kid Flash" instead of "The Flash" is hilarious. I hope we get more of Kid Flash in the future. In the Flashpoint timeline, Cisco Ramon is a billionaire--"the richest man in America." And it's perfect. I laughed a lot. Despite being super rich, he still has a few Cisco quirks like making movie references and coming up with stellar supervillain names. Although the circumstances were different, it was exciting to see Team Flash (sans Wells) reunited in the Flashpoint universe. When the episode first started, I was worried Barry wouldn't know any of his old friends, which he doesn't. But over the course of the episode, the team comes back together (sort of) to stop the Rival. I'm very intrigued by this new villain, The Rival, who is a comic book villain similar to Reverse-Flash and Zoom. At first I thought; "Really? This guy is the season 3 villain?" His outfit is a darker, more chaotic take on the Flash suit, though less so than Zoom's was. But the "wings" on the helmet are super dorky looking although I think they're supposed to make him appear more evil. (I would also really like to know how all the speedsters manage to create similar looking suits despite being different people. Why do they all look similar?!) However, after the events of the episode and the end scene, I'm intrigued with how he will fit into the show. Despite being a pretty terrible person, I enjoyed Thawne in this episode. He has some of the best lines of dialogue. He knows Barry would come back to ask him to fix the timeline, and he is right, so it was interesting to see their dynamics play out. Parts of the Thawne arc doesn't make complete sense to me, since I thought he disappeared from the timelines after Eddie shot himself. (Poor Eddie. When can he come back?) But I'm not sure if all the time travel has messed that up now. Still, Thawne is delightful. In this episode, Barry feels very different. Most of the time, he doesn't act like Barry. He is angry and full of himself. He locks Thawne up in a cage. He kidnaps Caitlin to get Team Flash back together. He doesn't use his speed force to save people anymore. He acts like he made the right decision because now he has everything that he wanted back. (But does he really? His relationship with Joe and Iris is completely gone.) Throughout the episode, I wanted to just grab Barry by the shoulders and yell at him to stop. Toward the end, he starts acting more like himself (and there are some things that didn't change--like his adorkable self), but I was worried for a while there. Joe is also not himself in this episode, and there isn't a solid reason why. He doesn't get along with his children that well, he doesn't like Barry, and he doesn't even make an effort to be a detective. He is angry and mean throughout the episode, which I didn't like seeing. One of my favorite aspects of the show is how strong of a father-figure Joe is for many of the characters, especially Barry. To see that suddenly wiped out without a reason is sad. During the end of season two, I started to like Iris for the first time. She wasn't just a love interest; she was becoming her own character while figuring out her relationship with Barry. But this episode kind of tossed her back into being a love interest. The first scene with her where Barry is a total n00b and asks her out is adorable, but later, their relationship starts to get cheesy when Barry admits they have something special between them in the origin timeline. Her reaction is super cliche and vomit-worthy. While the Flashpoint twist was interesting, I expected more. I didn't think it would be anything like the comic book, of course, but I had been hoping for more change, more explanation, and more time to see it all. 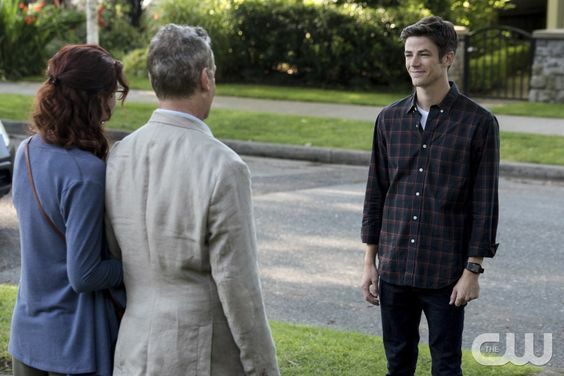 In this timeline, Barry grows up with two parents; his life would have changed a lot more. I don't even know if he would have become a forensics scientist if he hadn't been determined to figure out who killed his mother so he could clear his father. Why does he still have the speed force if the particle accelerator didn't explode? Why did Cisco's life change or Caitlin's because Barry's mom didn't die? There were some things that made sense--like Barry not having a close relationship with Iris or that he has his mother and father around. But there was a lot of changes that didn't make sense and they never explained why those changes took place. (Like if Thawne/Wells is the reason Cisco and Caitlin became scientists, tell us this!) In addition, I expected a few episodes (at least two, if not three) of Barry in this alternate timeline. It would give us plenty of time to see the changes and understand what is happening like they did with Earth-2. But we didn't get that. Sure, the end of the episode revealed that despite going back in time again to try to fix things again, Barry returns to learn the future still has changed, but I expected more from Flashpoint. Time travel is tricky, and now they've dug themselves deeper into the changing the timeline thing. Like how many alternate timelines have been created at this point? Where was Wells? I want Wells. I don't care what version, just give me Wells. If Thawne didn't kill Nora Allen, then he never took over Wells' identity. So where was Wells? I'm super stoked the The Flash is back, and we have an entire season ahead of us. While I did expect more from the episode, they did leave us with a lot to look forward to. Also I need more billionaire Cisco moments, please! What did you think of "Flashpoint"? What are you hoping for the new season?